More than 1,000 large enterprises will be using intent-based networking systems by 2020, according to a report by Gartner. Intent-based networking (IBN) is the biggest advancement in networking since ethernet switching. In the past 20 years, there has been no greater benefit to enterprises for networking than IBN. It allows firms to centrally manage network operations and deploy much-needed security protocols to keep data safe in a very difficult data protection climate. Traditional networks have to be manually configured to meet business intentions. For example, if you want certain types of devices to be accessed by specific users, you would need to manually configure the devices. Intent-based networking works differently. You define the business intent, and the network uses automation and intent-based policies to make changes. This allows for network changes at scale, and contextual analysis before, during, and after any network changes ensures the network is performing as intended. Translation: An intent-based network translates the intent of network operators, allowing them to express what they expect the network to do rather than how the network will do it. Activation: The activation function takes your intent and interprets it into policies. The activation function installs these policies across your network using automation. Assurance: The assurance function continuously validates and verifies that your intent is being honored by the network. IBN simplifies network management at scale, assuring continuous alignment with your business goals. Increased agility. Enterprises can rapidly respond to organizational needs with very little manual intervention. New applications can be onboarded quickly, and ongoing assurance ensures the integrity of any network changes. The automation and standardization of IBN supports a higher scale than traditional networking. Improved efficiency. Many enterprises have seen reduced operating expense costs as network operators are able to reduce the time they spend on network design, testing, and troubleshooting. Better compliance and security. Manual configurations are prone to human error. Policies may not be consistently applied, leading to security gaps. Intent-based networking automatically applies policies, reducing human error and potential lapses in security. The built-in integrity verification ensures that policies aren’t contradicting each other, and you can easily implement microsegmentation to ensure that any potential threats are contained. Reduce downtime. IBNs reduce downtime by predicting the impact of changes you make to the network. Sophisticated IBN systems can alert network operators to potential issues as they arise and even take steps to address those issues, within the parameters you set. 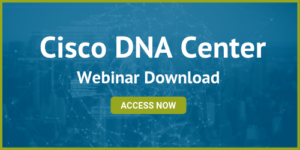 To take advantage of the benefits offered by intent-based networking, enterprises are turning to Cisco DNA Center. Cisco Digital Network Architecture (Cisco DNA) is an open, software-driven architecture that enables intent-based networking. It incorporates Cisco SD-Access, which weaves your network into a single fabric across wired and wireless environments. Design: The design section allows you to design your network using local typologies and physical maps. Device discovery is simple and automatic. Policy: The policy center allows you to define user and device profiles and set up virtual networks, access control policies, traffic copy policies, and application policies. Provision: Provisioning is an easy task that can be accomplished in just a few clicks. You assign policies based on identity, such as a specific user group or specific devices, and that policy follows the identity regardless of location. When new devices are added to the network, they are assigned a policy based on identity. Assurance: DNA Center Assurance supports and improves network performance. Assurance proactively monitors your network and provides alerts when issues arise. It also provides recommended steps for remediation, simplifying troubleshooting for your NetOps team. Platform: The DNA Center Platform uses open APIs to allow for enhanced integration with your existing tools. You can create new, automated workflows to transform manual tasks and achieve new insights from your existing data. 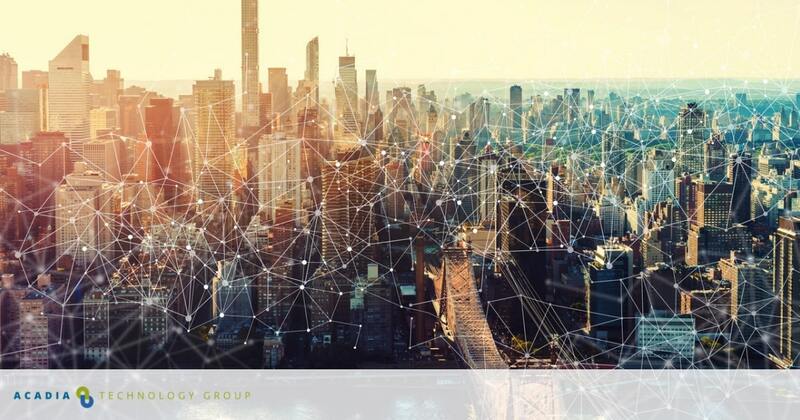 For enterprises going through digital transformation, intent-based networking provides the means to make that transformation a reality while simplifying network management and enhancing security. Determine your organizations business case for implementing intent-based networking. Assess your current infrastructure, determining which aspects of your infrastructure will support intent-based networking, and which will need to be upgraded. Choose a technology partner with expertise in your industry who can assist you with network upgrades, installation, and deployment of your intent-based networking solution, such as DNA Center. At Acadia Technology Group, we understand the benefits and challenges of getting started with intent-based networking. Our experienced Cisco engineers will advise you and assist you with implementing a networking solution that works for you. For more information on intent-based networking, contact us today.